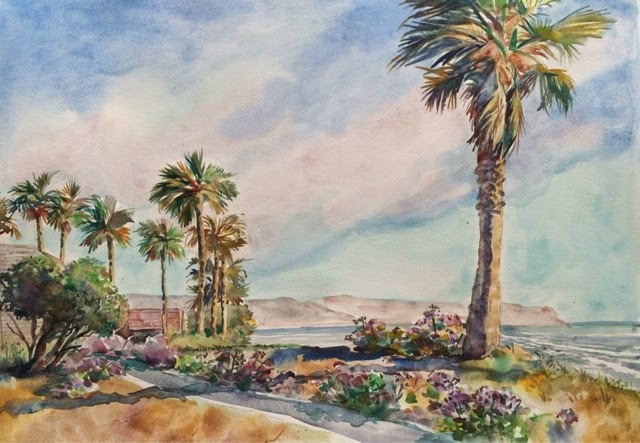 It is nice to be in an all watercolor show! The larger exhibit of my work at Harmon's City Creek is still up for another week or so. 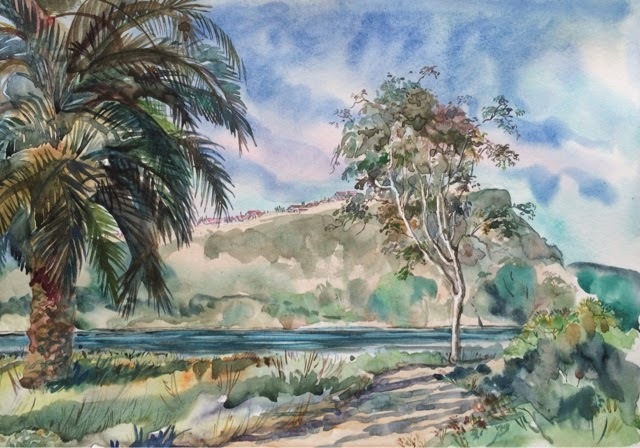 Three looser and larger sketches observing tree forms at Batiquitos Lagoon and Seabluffe. 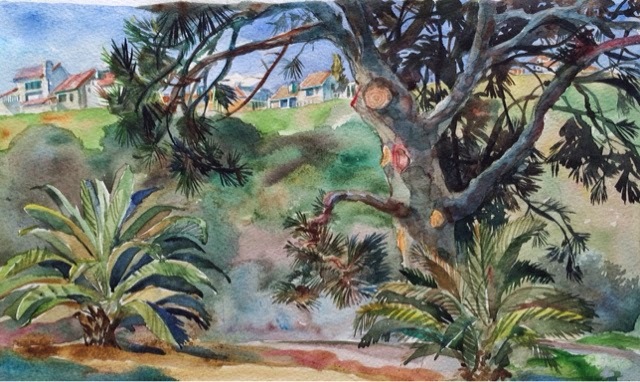 Opaque watercolors on Canson paper. 14" x 20"